Received in an email forward from multiple sources. 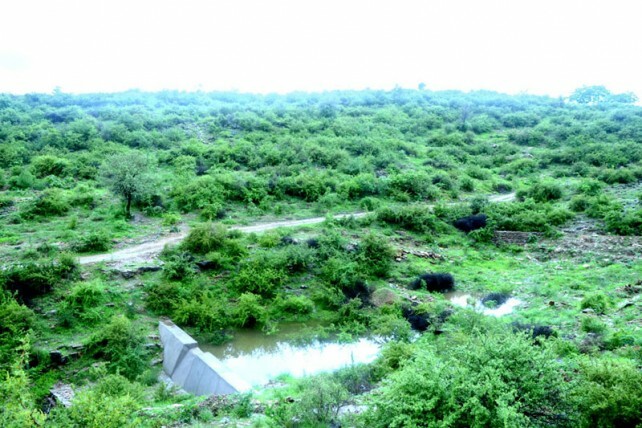 Found a fuller article in a news site here: http://www.thehindu.com/news/other-states/a-village-that-plants-111-trees-for-every-girl-born-in-rajasthan/article4606735.ece that had some more information, like "Over the last six years, people here have managed to plant over a quarter million trees on the village’s grazing commons- inlcuding neem, sheesham, mango, Amla among others." 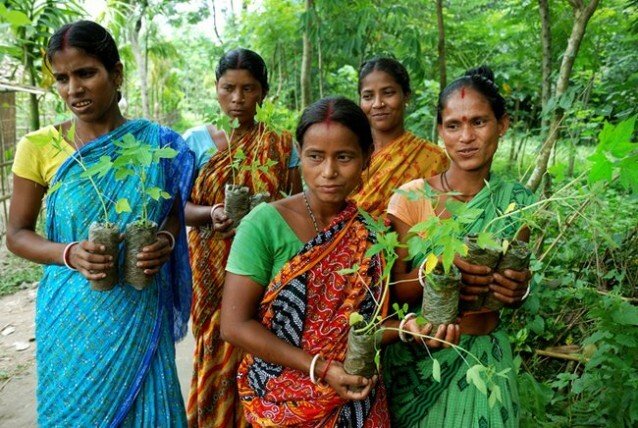 India’s other daughters – The village that plants 111 trees, when a girl is born !! 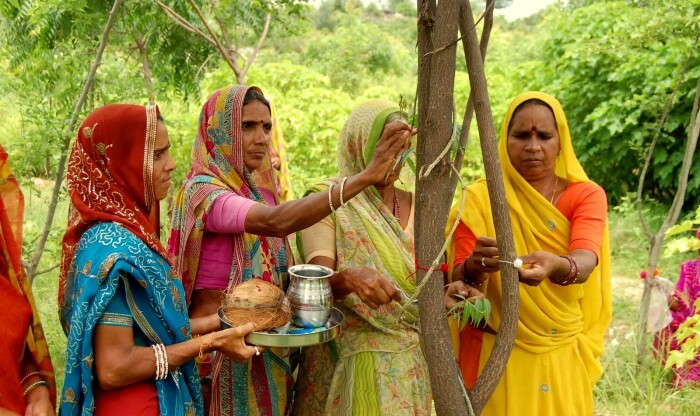 In a country that still favours the birth of a son, Piplantri village in Rajasthan not only embraces daughters, but has created a tradition that benefits both the local people and the planet. 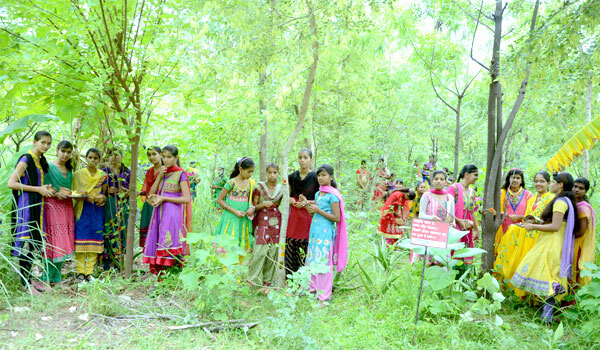 This endearing village makes a conscious effort to save girl children and the green cover at the same time, by planting 111 trees every time a girl is born. 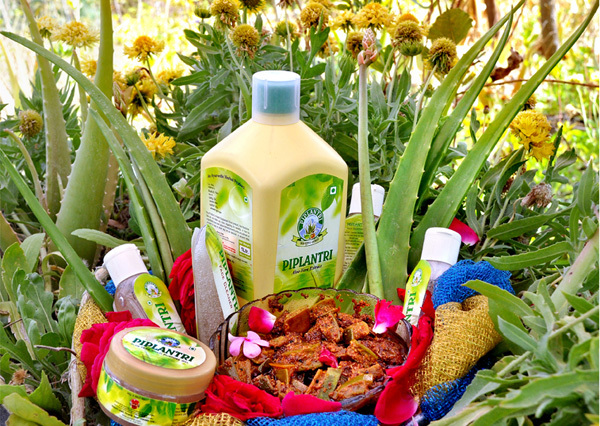 A brilliant exercise in eco-feminism, this should inspire India and the rest of the world. This wonderful eco-conscious tradition ensures that an increase in human population will never come at a cost to the environment. It is literally helping to ensure a greener future with each new generation. 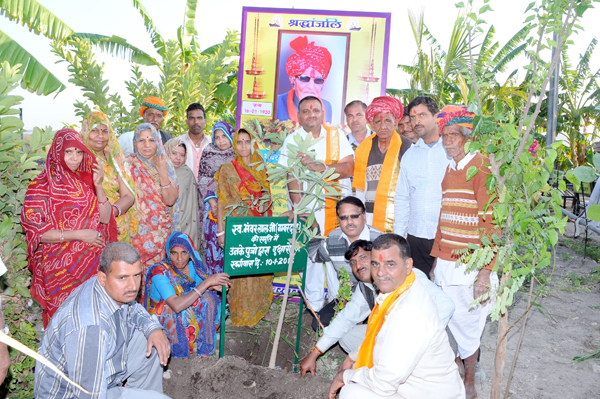 The village gathers as a community and plants 111 fruit trees in honour of every newborn female child. Village residents collect Rs. 21,000 among themselves and Rs.10,000 from the girl’s parents. This sum of Rs. 31,000 is made into a 20-year fixed deposit in a Bank, for the girl. Parents are legally bound by a signed affidavit stating that their daughter will receive proper education. The affadavit also mandates that the girl should be married only after she reaches legal age and the trees planted after her birth would be correctly looked after. The community ensures that the trees survive, attaining fruition as the girl grows up. The villagers don’t just plant trees, they look after them as well. To protect the trees from termites, the residents plant Aloe vera plants around them. These trees, and especially the Aloe vera plants, are now a source of livelihood for several residents. This unique tradition was first suggested by the village’s former leader, Shyam Sundar Paliwal, in honour of his daughter who passed away at a young age. 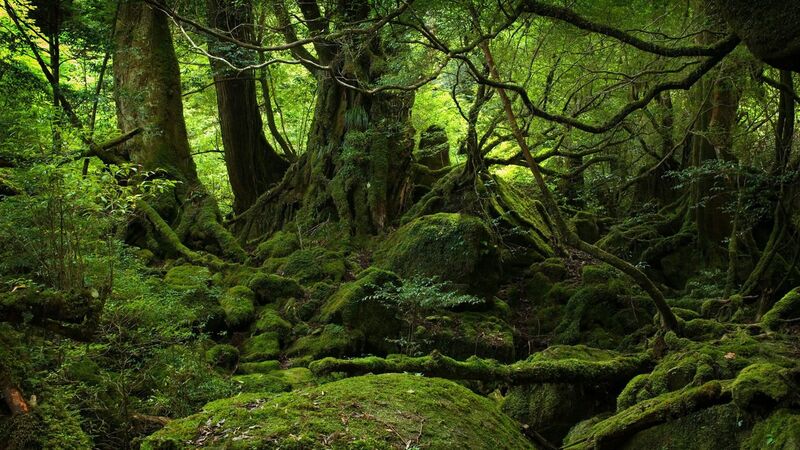 In the last 6 years, over a quarter of a million trees have been planted. Villagers claim there has not been any police case here for the last 7 to 8 years. This is a heartwarming and inspiring story that MUST be shared and replicated as much as possible across India and the world. The government has initiated efforts to promote organic farming in all Assembly constituencies. Minister for Agriculture K.P. Mohanan said here on Thursday that the initiative was designed to encourage farmers to switch over to organic methods of cultivation, under a project to convert Kerala into a fully organic State by 2016. Kasaragod district had already switched over to organic farming in the pilot phase of the project. Addressing a press conference after a meeting to review the performance of public sector undertakings, Mr. Mohanan said the agriculture sector in the State had registered a Gross State Domestic Product growth of 5.26 per cent over the last year. The production of paddy went up to 5.376 lakh tonnes though the acreage of 2.148 hectares showed little increase. The productivity of other crops such as coconut, cassava, mango, pineapple and other fruits and spices, including pepper, ginger, and turmeric, also registered an impressive growth. The domestic vegetable production had gone up to 11.9 metric tonnes. The Minister said efforts were on to procure vegetables from farmers through Krishi Bhavans and market them through outlets of Horticorp and Vegetable and Fruit Promotion Council Keralam. 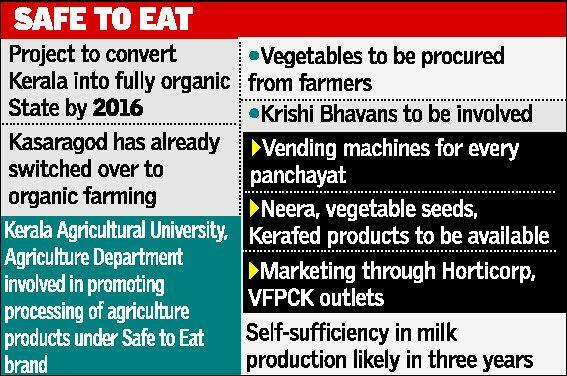 Simultaneously, Kerala Agricultural University and the Agriculture Department were involved in a drive to promote processing of agricultural products under the “Safe to Eat” brand. The government, he said, was planning to install vending machines in every panchayat to dispense neera, vegetable seeds and products manufactured by Kerafed. The project would be implemented by the departments of Agriculture and Panchayats. The daily production of neera was expected to go up to 20,000 litres by February with the commissioning of new plants by the Coconut Development Corporation at Aralam and Elathur and the KAU campuses at Vellanikara and Vellayani. Officials from 20 public sector units participated in the review. Cows, hens, frogs, ducks and earthworms—these are only some of the ‘workers’ helping C. Srinivasan to convert garbage into gold. 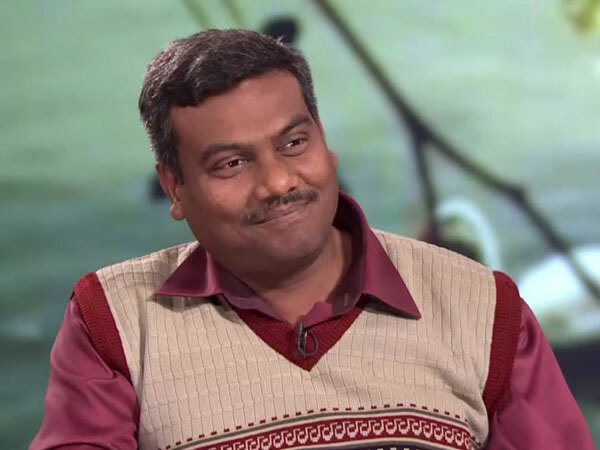 Srinivasan, who appeared on the Don’t Waste Your Garbage episode, spoke about the ‘Vellore model’ of solid waste management which involves both animals and human beings in reusing and recycling waste. After the show, people from all walks of life approached him to learn more about handling waste responsibly. He us tells us more here. After the episode was aired on the morning of March 16, my phone was engaged all day, till late at night. I used to think garbage was a dry subject and nobody was really interested in it. But I was surprised that so many people want to see India clean. Through the show, people learned about the reality of garbage and began to realize that the problem is solvable. They now want to see change in their own localities and become involved in bringing about that change. So, making India clean may not be far off. You have lit the fire and it has caught on like a forest fire; it cannot be stopped. I was contacted by people from 16 states, and received nearly 300 emails. Out of these 50 were from total strangers. The people who contacted me wanted to know more about our Solid and Liquid Resource Management programme and implement it in their own areas. Some people even said, ‘I will give my land for this project, but I need your help with the technology.’ It isn’t so easy for people to promise their land for a project like this. Students contacted me to learn more about the SLRM project so that they can get involved in it soon after they graduate. I also noticed that highly qualified people want to get involved in managing unwanted materials. Normally, such people want to sit in AC rooms and expect that people will come to them. But here, people with MBAs, MScs, PhDs and other postgraduate degrees contacted me. Most of them want to get involved in the field, to use their hands. Some want to use this method to develop a business; others just want to help society. At the moment, two people with MBAs are being trained by us. I feel that all these people are definitely going to be change-makers. Earlier, we were on the lookout for change-makers, but here they are waiting for us! In addition to this, I received 12 emails from outside the country, including from a Madagascan diplomat stationed in Poland, who has approached the president of Madagascar and asked for the implementation of the SLRM programme in that country. Many people have expressed the desire to visit us and see the project site in Coimbatore. Looking at this response, we have decided to set up a training centre not only for people in Tamil Nadu but for people from across the world. They can come for a one-day visit or for a 15-day training programme, which will help them understand all the different aspects of treating and recycling unwanted solid and liquid materials. They could also stay for a year and get certified as a Grassroots-Level Consultant in SLRM from a local university. Today, I still receive emails and calls from people who have seen the show. We’ve been waiting for this kind of response for years. Satyamev Jayate was like a rocket that pushed the issue of garbage into space. Now we just need to get it into orbit. 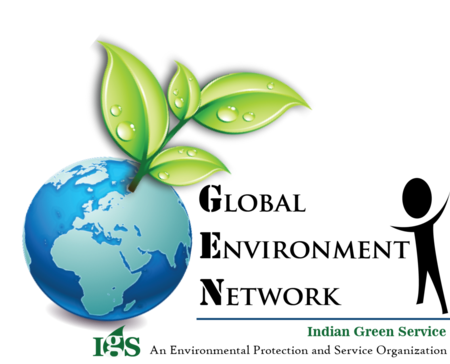 C. Srinivasan is the project director of Indian Green Service, an environmental organization. He can be contacted on velloresrini [at] hotmail.com. Do you want to get in touch with / involved with Mr. Srinivasan and his organization? earthrise explores solutions to today’s environmental challenges, taking an upbeat look at ecological, scientific, technological and design projects the world over. Our reporters meet inspiring individuals and communities leading the way in a field few can afford to ignore. We need to dub many of these into Indian languages and spread them around! 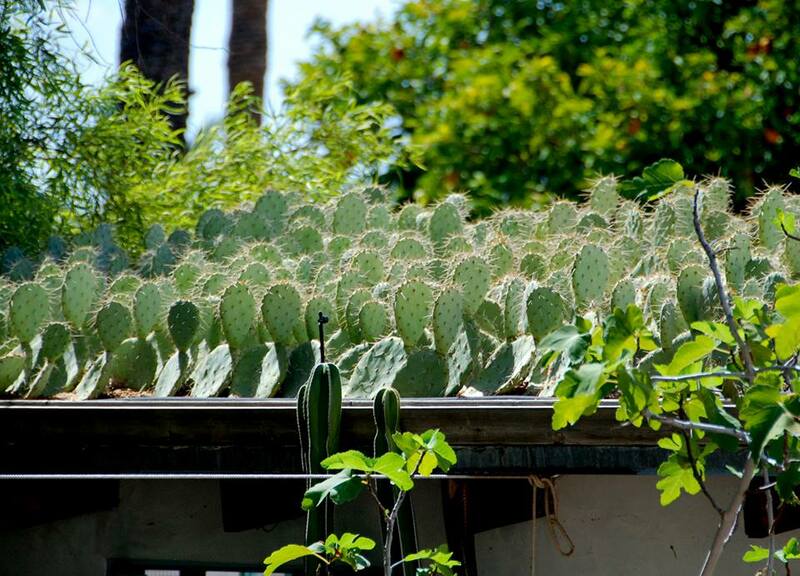 My first cactus roof is 6 years old……i have posted this roof in the past and i have seen many internet comments ranging from it being really brilliant to being really stupid, the majority of comments are wondering when the roof will collapse from it’s increasing weight as it grows. It has grown as i predicted, it stopped growing at 2 years and has maintained that size for the last 4 years. i have observed that when i go to transplant old over-grown succulents out of a pot there would sometimes be no soil left in the pot, it had disintegrated over time and the pot would just be a solid mass of roots without any soil. the plants would be doing fine so i figured that the prickly- pear cactus could grow without soil if it had some gravel to support it while it sent out roots.i think it reached the growing capacity of the gravel base,a horticulturalist may have a better explanation. i have also observed that pads can fall off and land on pavement and continue to grow, the new growth will turn up vertically, they can even develop new pads and flower before they use up the moisture in their leaves. the cactus pads are planted in 2 inches of 1/4” minus crushed granite, we added micro sprays for irrigation and that’s it. I am basically from Mumbai, studied till 10th. Post that I spent 5 years working as sales executives in max york life insurance, airtel, vodafone etc. and then as a Wardboy. After that I got a chance to join Swaraj University (It follows a self designed learning philosophy with no degrees and no exams) which completely changed my life and my thought process. What prompted you to start filmmaking? Well, I didn’t have much interest in filmmaking initially but I had an inclination towards camera. Whenever I used to get a camera, I used to try clicking pictures from various angles etc. Slowly from photography, I learned filmmaking and then I learned editing on my own. At that time, I got my first opportunity as a filmmaker from Kisaan swaraj yatra which I took and thats how I became a filmmaker. Post that yatra, got another projects because of my work including projects from Jan Satyagraha. In the meantime, I also attended mentorship sessions form Abhivyakti – Nasik etc. After all these experiences, I realized that film making is a very strong tool to communicate stories and with youtube and other social networking sites, reach of a video/ film has increased. So, I decided to pursue it full time. What kind of films have you made? I like to make documentary films. It helps me in telling stories of people who are doing real good work. In the process, I also come to know about the challenges people are facing, how they are overcoming them etc. I have made films on Jan Satyagraha, Om Creations, Cycle marathon initiatives etc. Somehow fiction films don’t give me that kind of kick. In future, if I get a chance to make a fictional film, it would be a docu-fiction only. My Vision is that documentary films should get the same (if not more) recognition like fiction or feature films. I would like to work in this regard on how to make documentary films more entertaining and interesting. What difficulties you face as an independent filmmaker? I can make good films with my simple camera also, but when you have to execute a project, there are many things you require and there is a project cost involved which many people don’t understand. You need equipments, there is a travelling cost involved, if you are shooting in a village you need lights so it becomes very difficult to manage project cost. Having said that, its all part of the game and thats how you grow as an individual and and as a filmmaker. What advice you’d like to give to someone who is interested/newbee in filmmaking? I will not call it an advice but my belief is that when you are making a film, whether its a fiction, documentary or anything else, the audience should connect to it. They should have ‘some’ feeling after watching the film. Also, you must financially sustain yourself, and you must have a plan for it. Tiny organic garden right on your terrace !!! With the rising number of buildings and the decreasing open space, terrace gardening is emerging as a great option to have the best of both worlds. Want to grow a terrace garden at your home? Our reader and contributor Vikram Kapoor shares with us his guide on how to grow wonderful veggies, flowers and fruits yourself. “Plants also need love. They can’t express their feelings but if you take proper care they will bloom,” says Kishore Kumar, a Bangalore resident who owns a terrace garden at his home in Shantinagar. 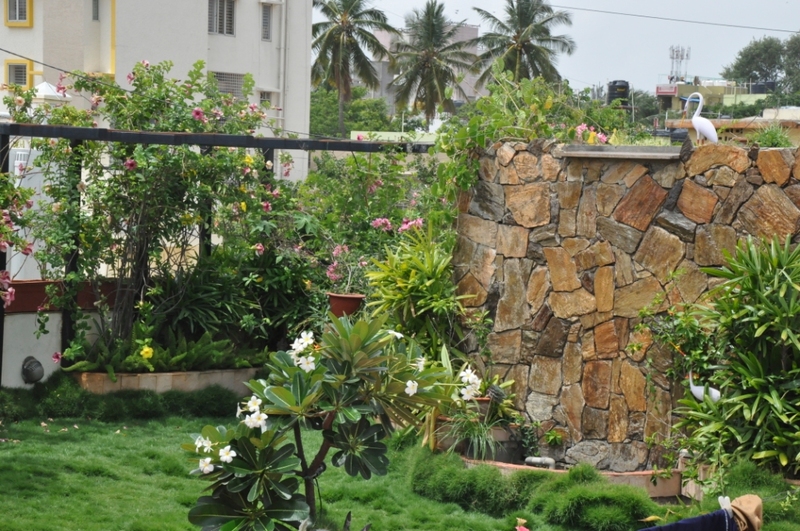 A few decades ago, almost all houses in Bangalore had a garden since plenty of space was available. However, since the IT boom, this space has been shrinking and today, it is almost non-existent. In spite of scarcity of accommodation, many people have come up with novel ways to grow plants even in the little available space. Terrace gardening is one of them. Ever wondered, what would the music by plants be like ?? Plants are very much alive. Not only do they dislike human noise but they also posses the capacity to learn and communicate. Perhaps even more astonishing is that plants can also make music. Have you ever heard the incredible music of the plants? Plants can actually sing and compose music and listening to it is truly beautiful and relaxing! 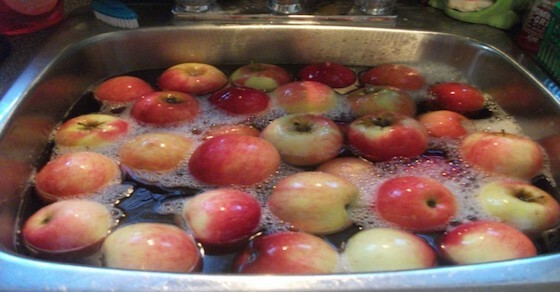 Sick of pesticides in food ? TRY THIS !!! CHECK OUT THE INDIA’S FIRST EVER CHAIN OF BACKPACKER’S HOSTEL…. 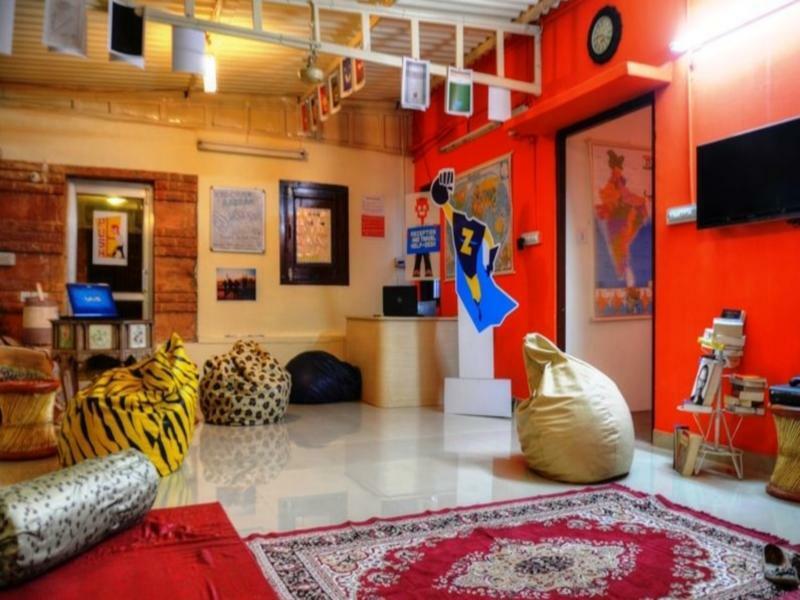 Zostel is India’s first chain of branded backpacker’s hostel. What? Sounds weird! a backpacker’s hostel! Read on Sires and Madams,and allow me to help you. Zostel is not for you. I repeat, Zostel is not for the ‘Regular’ you. Zostel is only for that crazy traveller hidden inside you. 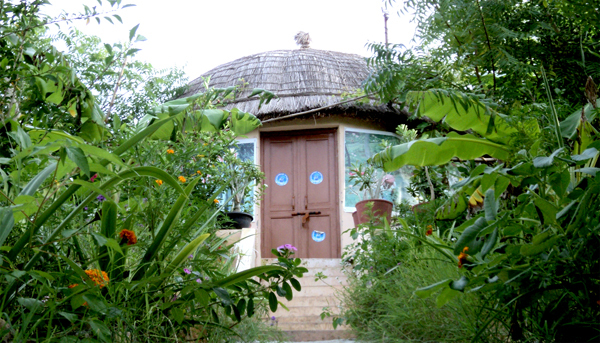 It is an accommodation facility for your social self who wishes to meet new people and exchange travel stories. It is for your casual self who prefers a safe, hygienic, centrally located and affordable stay but at the same time want a relaxed and super friendly experience. It is for your playful self who feels that travel keeps them young at heart. It for your comradely self who believes that friends should have non stop fun while travelling in a group. It is for your dreamy self who dreams but never dared to step out for a solo trip before. In short for your crazy travel freak self, Zostel whips up a perfect brew that will leave you wanting for more. So Why are you waiting? Bring out your crazy traveller avatar and experience Zostel, because more travel,more friends, more stories, more fun and more awesomeness. EVERYTHING COMES WITH A PRICE TAG ??? With total crises situation with environmental crises as well as economic crises very rarely voices of hopes are being heard. A system built by us which is no longer serving us, on the contrary damaging us to an extent that survival of our species is at stake, there are new experiments popping all over us with the intent to work in cooperation with mother nature instead of competition or take over, few of them are aimed at reinstating the faith into nature and its abundance. A feeling of trust in universe that there is abundance of everything on earth and scarcity lies only in human mind. DARIYA DIL DUKAAN !!! 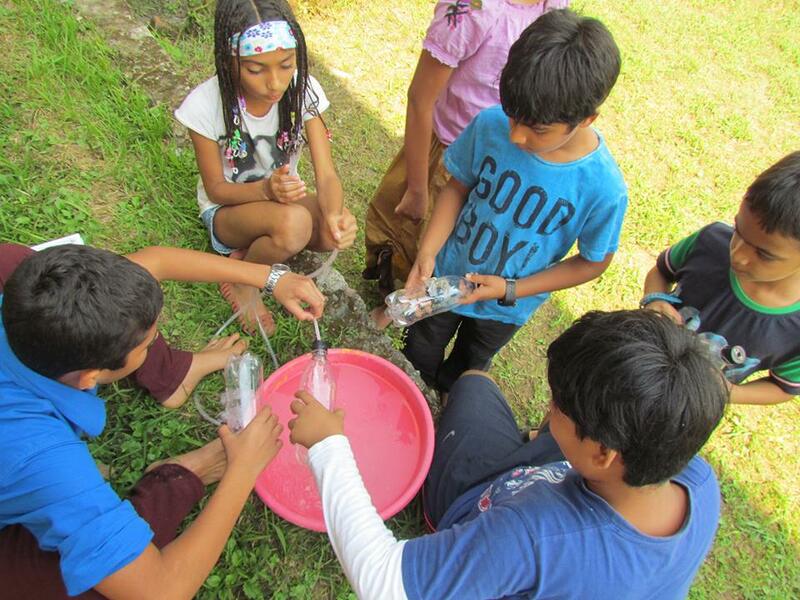 As it is commonly called is a experiment happening all over India with same intent among several communities. THE FREE STORE is another small experiment to channelize this vast abundance. We are The Free Store !!! An initiative towards a more effective and need-based redistribution of resources. We are modelled on the concept of the non-monetary Free Stores that have been working in the US and several countries in Europe. We are NOT barter-based. We believe in people chipping in resources they have but don’t need and taking away what they require. So you have that extra keyboard you don’t think you’re gonna require? Let’s put it up! It’s just a small realization – it’s not give-and-take; it’s sharing. A pump that doesn’t need electric power to run… "Ram" or water-hammer pump.. an old design that was around before the advent of electric pumps. I don’t quite understand this one right now, but someone out there might! "last season, it hammered over 145,600 gallons of pond water up a steep hill to our garden over 700 feet away and over 100 feet higher than the pond! In the process, it saved us over 485 liters of diesel fuel we would have normally used to drive our diesel tractor to pump and tow the water around our farm. The pump was built for about $50 worth of plumbing parts and a bunch of stuff that I had sitting in my scrap pile." 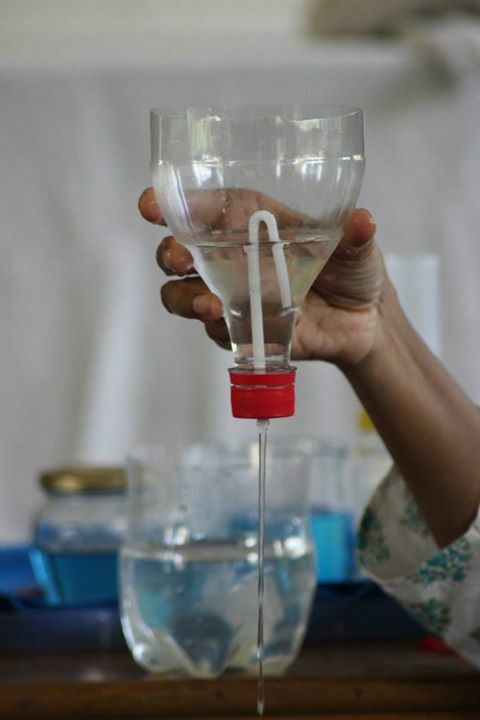 Recently came across the facebook page of Aavishkaar which is a learning space for young minds to have fun with hands-on science, math, reading, writing and music in a curious and creative way and focus on shifting our educational system from teaching to learning. Working with various schools in the region of kandbari (himachal), AAVISHKAAR team visits various school promoting practical learning with special emphasis on science and maths and even hosting science fairs or Vigyaan mela’s and are even open for volunteering opportunities. Vermiculture uses worms in a controlled environment to do what they are best at- converting organic waste into nutrient-rich compost in nature’s way of recycling. Members of the community groups underwent training and initiated a small-scale trial project investing Rs.2,200 (£29) they had raised from the sanitation blocks. They bought 4,000 red worms, Eisenia foetida, commonly known as the red wiggler or manure worm, which are best suited to composting. Encouraged by the initial results the community then set up a larger scheme. An area of land by the communal toilet blocks was set aside with a small shed and composting arrangements for the worms. Now in every 45 day cycle, for an investment of Rs.500, nearly one tonne of compost is produced. The compost is packed in bags and sold for Rs.5 per kilogramme, making nearly Rs.3000 per cycle. The success has spread to other slum communities and individual households, which are now also carrying out vermiculture projects. The original project now even breeds and sells worms to those wishing to follow its example. A ground-breaking meta-analysis of 343 studies led by Newcastle University, U.K., has found that organic food delivers significantly more benefits compared to non-organic food. Among these are that organic food contains up to 69% more of key antioxidants and significantly lower concentrations of cadmium (50%), nitrates (30%), nitrites (87%) and pesticides. The frequency of occurrence of pesticide residues in conventionally grown crops was four times higher than in organic produce. This increased to seven times in the case of fruit. Antioxidants are linked to reduced risk of various diseases including cancer. Conversely, high nitrate and nitrite concentrations in food are considered as potential risk factors for illnesses such as stomach cancer. The researchers stress the urgent need for further studies specially designed to identify and quantify the health impacts of switching to organic food. The abstract of the study and a briefing note on it are reproduced below as Items 1 and 2. Why you should take your kids out of school !! THEY DISAPPEAR FOR HOURS. WHEN THEY RETURN, THEIR BASKETS ARE HEAVY WITH SMALL TREASURES OF THE WORLD AND THEIR HEADS ARE FULL OF SMALL STORIES OF THEIR WANDERING: THE MOOSE TRACKS THEY SAW, THE FORKED MAPLE THEY SAT BENEATH TO EAT SNACKS. This phrase above mentioned in the article made me remember my childhood days. It is already obvious that unschooling is radically different from institutionalized classroom learning, but how does it differ from more common homeschooling? Perhaps the best way to explain it is that all unschooling is homeschooling, but not all homeschooling is unschooling. While most homeschooled children follow a structured curriculum. The first incidence of compulsory schooling came in 1852, when Massachusetts required communities to offer free public education and demanded that every child between the ages of 8 and 14 attend school for at least 12 weeks per year. Over the next seven decades, the remaining states adopted similar laws, and by 1918, the transition to mandated public education was complete and from there on it spread to world. With recent rise in awareness about compulsory education, several movements and people have risen up to the challenge to provide better model of education for our people, making industrial model obsolete. To know more about alternative learning spaces in India scroll down a bit in our Alternative spaces section . To read this beautiful article about the homeschooling adventures of Fin and Rye “WE DON’T NEED NO EDUCATION” click here. Free energy generator from India, another hoax ? With growing energy crises all around the world, and also search for alternatives there goes parallel search of FREE ENERGY. The concept is not new its mention dates back thousands of years, with its mention found in almost all ancient culture including Vedic, from which the great inventor Nicola Tesla was inspired and there were even claims that he did made possible to trap free energy from zero point. There have been reports and claims from all around the world about free energy generators, but none came to light or was commercially produced, with added reports of big corporations never wanted such a invention to come out as would devastate their profits. So, well this time here’s another one from India itself, I am not sure if its another hoax or is true invention and this too will be suppressed by big dominant corporate sector. A 10th grade failure (failure according to present education system), have made energy generator which charges its own battery. How did an unassuming Varanasi farmer and school dropout come to be sought after by farmers, praised by experts and awarded by the government for his famous seeds? His claim to fame? He develops indigenous, high-yielding and disease resistant varieties of plants. So far, he’s perfected more than 460 types of paddy, 120 of wheat, 40 kinds of arhar dal and three of mustard. He’s also grown a special type of wood apple or bel, one that yields 8-10 fruits in a single bunch, multiplying harvests for poor farmers. One million farmers in about seven Indian states swear by the seeds he provides. He sells them for Rs 30-40 per kilo, compared to the Rs 200-300 that agents charge for genetically modified (GM) crops. Still, his crops outperform the GM ones on yield. And from their grain, farmers plant for the next harvest – something they can’t do with a GM crop.